5 Realms of Cards is a new card game based on a fairy-tale. It includes 70 levels where you help a young princess Jokerine to restore peace in her card kingdom & find out a secret. 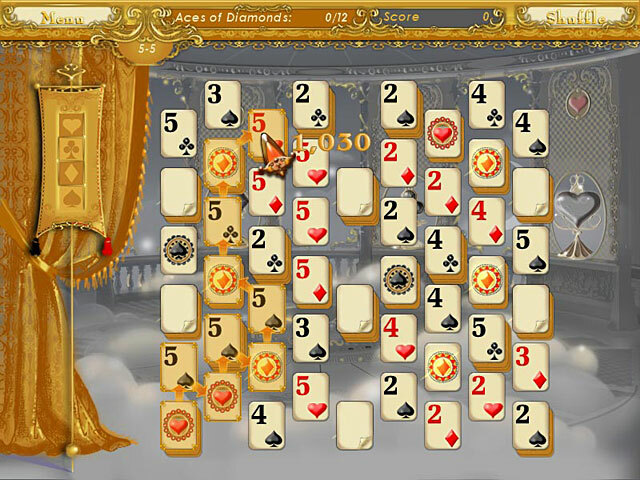 In addition you have bonuses through all 5 card kindoms and 5 card-based mini-games. Enjoy a beautiful card world in 5 Realms of Cards. 5 Realms of Cards game is shareware, this means you can download and play 5 Realms of Cards game for free during 1 hour trial period. After this period you have to buy the game for $6.99 or uninstall it. It works with Windows 98/XP/Vista. 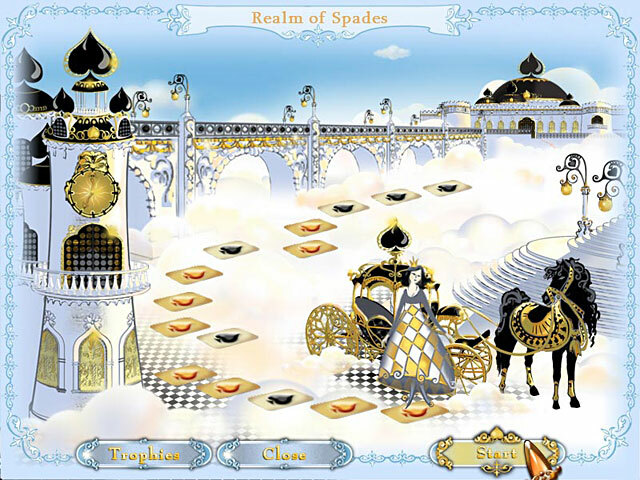 The presented 5 Realms of Cards game does not contain any spyware and/or advertise modules, allowing you to install it without worries concerning valuable information loss. Downloading 5 Realms of Cards game will take a few minutes if you use fast Cable/ADSL connection. 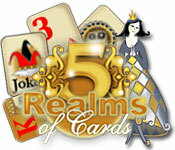 Download 5 Realms of Cards game for free, play and enjoy it!